Ever thought how some things on the web, in magazines or journals, some logos stand out more than others. I’m sure we all have that one publication or website or a company logo we like more than others. The thing is that more than the content, it is the designer who will put in his or her hard work to give an appearance to the content in question and make it look the way it does. In many ways a Graphic Designer is the one in-charge of the visual communications of a product. Typically a graphic designer would be expected to have expertise in lay outing, typography, diagramming, drawing and lettering. One must have a strong sense of aesthetics to know the correct selection of colors, artwork, photography, and other visual elements for the design. More often than not the job of a graphic designer would include planning, visualizing, implementing and execution of designs for target audience research work are also parts of a graphic designer’s job. It goes without saying that knowledge of computer software required for graphic designing is also a must. 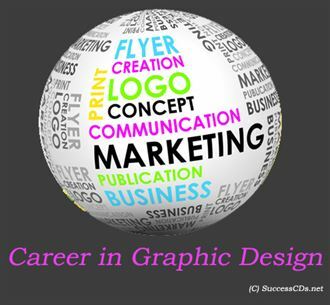 There is specialized training required to become a good graphic designer. Students aspiring to be a good graphic designer must have an inclination towards art work. One has the option of either opting for diplomas or you can also make your way towards post graduate diploma programs in graphic designing after completing your Class XII or graduation. Those having a Bachelor’s in Fine Arts (BFA) program can also apply for the course. The course imparts on training in software being used for graphic designing and enhances the artistic talent of the person as well. It will expose you to electronic media, audio-visual media, publishing, manufacturing, printing as well as film and animation. Apart from theory, hands-on experience in all aspects of media would be given as part of the course. There is a lot that the Indian media requires and talented graphic designers are amongst the most important people. There is a wide variety of graphic designers, art workers, design consultants design management professionals, creative directors required. One can also work at a magazine as layout editors in reputed media organizations. Moreover one can also pursue career as a graphic designer in advertising agencies, marketing firms, design studios, educational institutes, exhibits and displays, publishers and manufacturers. As per industry standards, the monthly salary of a graphic designer initially could go up to Rs 15,000-20,000. With experience and a superior publishing company you might get about 40,000 a month. As you keep climbing the ladder you will see lot of opportunity coming your way other than your regular job, from which you can make lot of money.